This entry was posted in Poor Trufan's Almanack and tagged Mary Anne Mohanraj, Speculative Literature Foundation by Mike Glyer. Bookmark the permalink. It was fun and sometimes stressful to watch* her run for the position. I’m happy to see she succeeded. One of the few positive aspects of Trump’s presidency. Yay! So pleased she won. I keep mulling over running for the board of the local fire protection district in the next cycle. The question is whether I’m willing to carve our more time from other things, should I be elected. 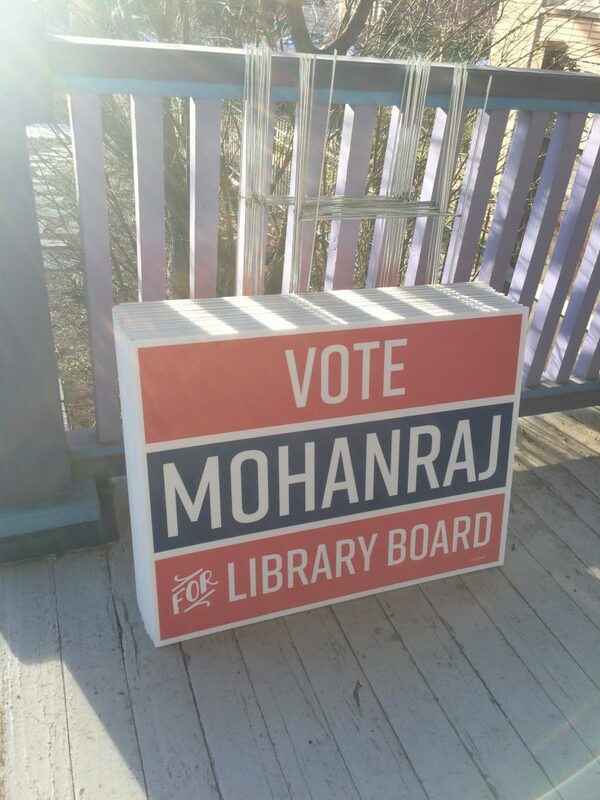 Congratulations to Mary Anne Mohanraj! I’m very pleased she succeeded and I wish her all the best with her new responsibilities! Yay Mary Anne! I’ve been avoiding Facebook for a while, so this is the first I’d heard of it. Thanks, Mike! So even “minor” elected officials can make a big difference. Go, Mary Anne! That library system is going to be much improved with her (partly) in charge. Today, the Oak Park Library Board; tomorrow, the World! Yay! We need more of us in public office.